Vehicle undercoating is a tack-free, flexible corrosion proofing compound and sound deadener formulated to protect vehicles and transportation equipment from corrosion. Undercoating contains inhibitors to protect against rust and corrosion. Undercoating dries to a firm, flexible film that deadens road noise, seals auto interiors against dust, reduces chassis and underbody squeaks and provides the extra insulation required by air-conditioned cars. 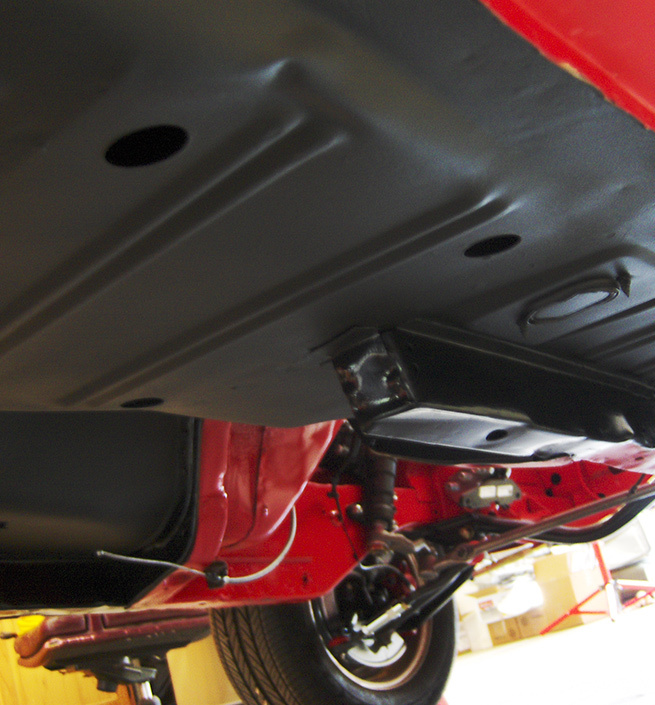 APPLICATION: Vehicle Undercoating is typically applied to all exposed chassis and underbody areas from the vehicle firewall to the vehicle rear including wheel wells without plastic liners. 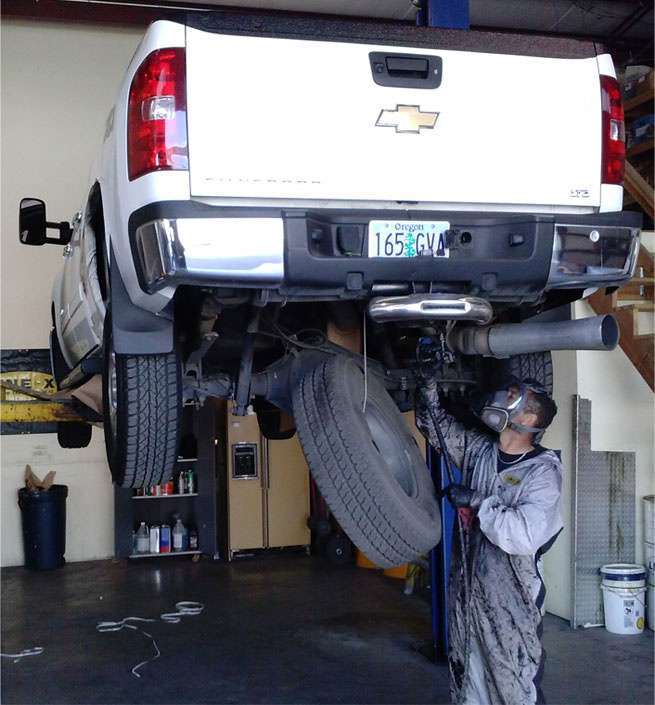 Drive train, exhaust (including heat shields) and suspension components are not coated. Undercoating dries to the touch within two to three hours and cures in about 24 hours depending upon atmospheric temperatures and humidity conditions. Effectively resists such elements as debris, moisture, road chemicals, rocks, and sand.